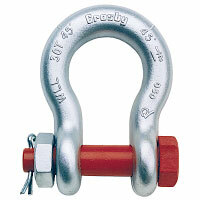 Shackles connect slings, rigging hardware, chain, lifting devices, load cells, and other items to loads being lifted or pulled. 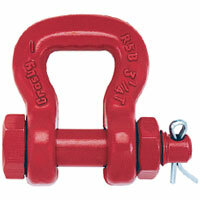 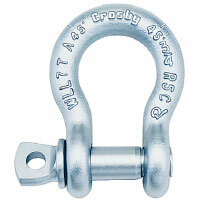 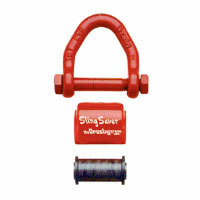 Delta Rigging and Tools is one of the largest stocking distributors of shackles in the United States and can supplies shackles from 1/3 ton to 1550 tons, Galvanized and Self Colored, Carbon or Alloy, and Screw Pin , Bolt type or Crosby's new Easy-Loc retention system. 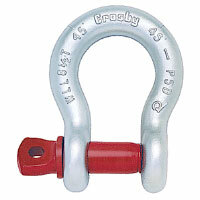 Shackles 25 ton and larger are RFID equipped and Alloy Shackles are proof tested at the factory with certificates available upon request. 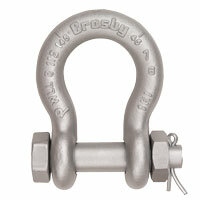 Cold Tuff® Shackles are Inorganic Zinc Primer or Hot Dipped Galvanized, suitable for use to -50F, and have type approval and certification with DNV 2.7-1 Offshore Containers. 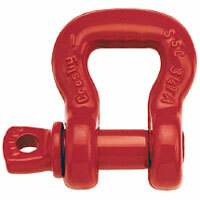 Cold Tuff® are also produced with DNV MSA requirements including documentation. 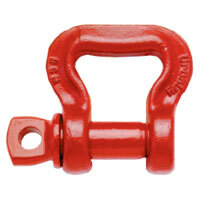 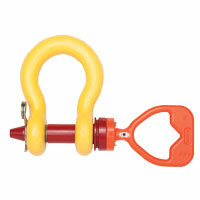 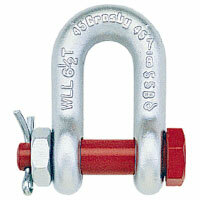 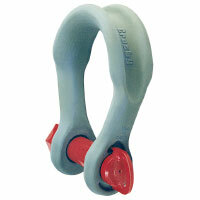 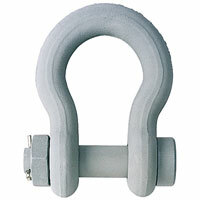 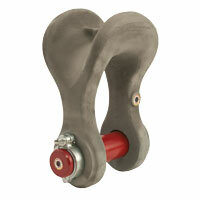 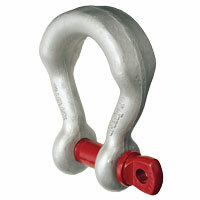 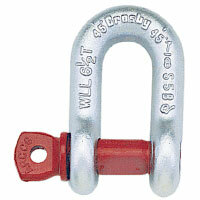 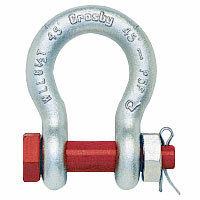 Click on the shackle images below to view more information on sizes, working load limits, dimensions and weights.